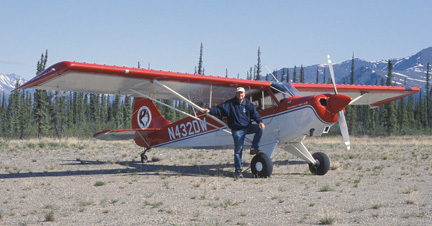 Dave flies an Aviat Husky A1B aircraft. This STOL (short take-off and landing) aircraft will fly at extremely slow airspeeds with the windows and doors open to provide an undistorted view of the terrain. It is equipped with large tundra tires for back country airstrips and has a surface ceiling of 20,000 feet. The aircraft is located in Blue Ribbon Farms Airstrip in Sequim, centrally located to serve the entire Olympic Peninsula and Western Washington. Nikon cameras and lenses are used exclusively, including the latest Nikon D3 high resolution camera and a Kenyon gyro stabilizer. Dave provides digital photos in the format of your choice using Epson scanners and printers for the highest quality imaging on archival materials.